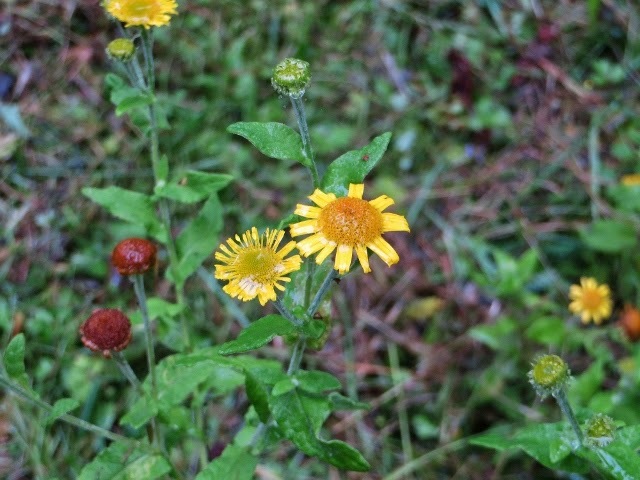 There are large clumps of Common Fleabane, Pulicaria dysenterica, to be found, its name comes from past use as an incense to rid the house of insects and it was also used in the treatment of dysentry. 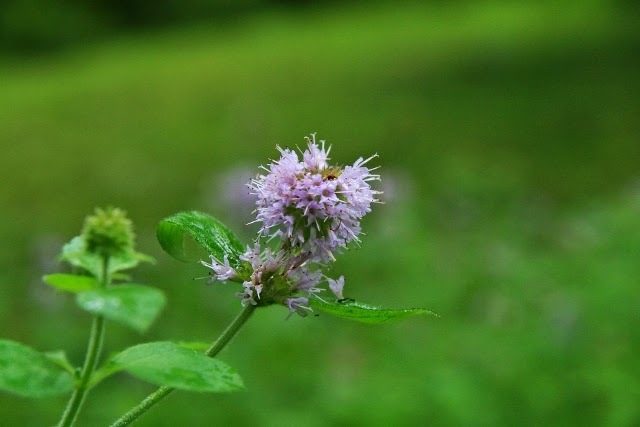 Water Mint, Menta aquatica, grows in the ghylls, a valuable source of nectar for bees and butterflies as well as a food plant for caterpillars. Lesser Skullcap, Scutellaria minor and Cow Wheat, Melampyrum pratense are also flourishing. 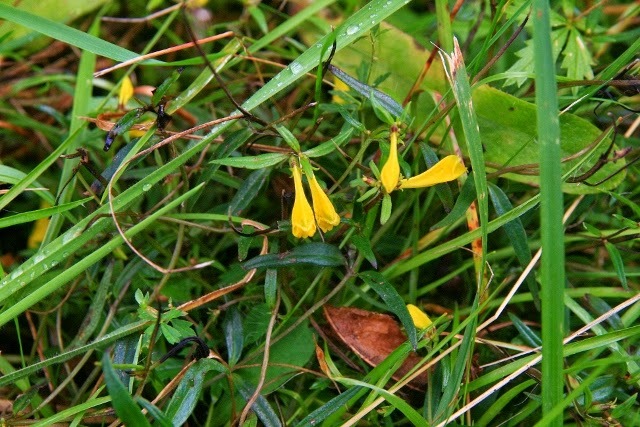 Cow Wheat is an ancient woodland indicator and its seed is attractive to wood ants. 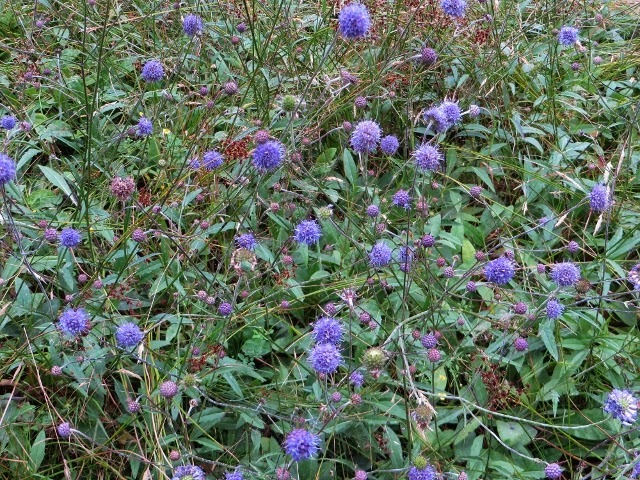 It is also a food plant for the caterpillars of the Heath Fritillary butterfly. 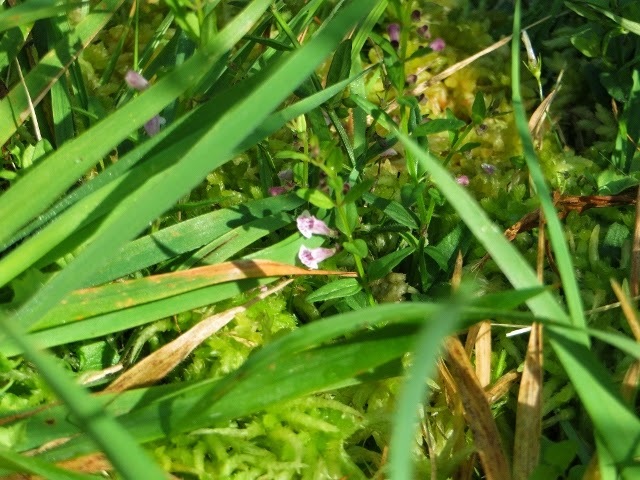 The delicate Skull cap is semi parasitic on other plants and was used in traditional medicine.